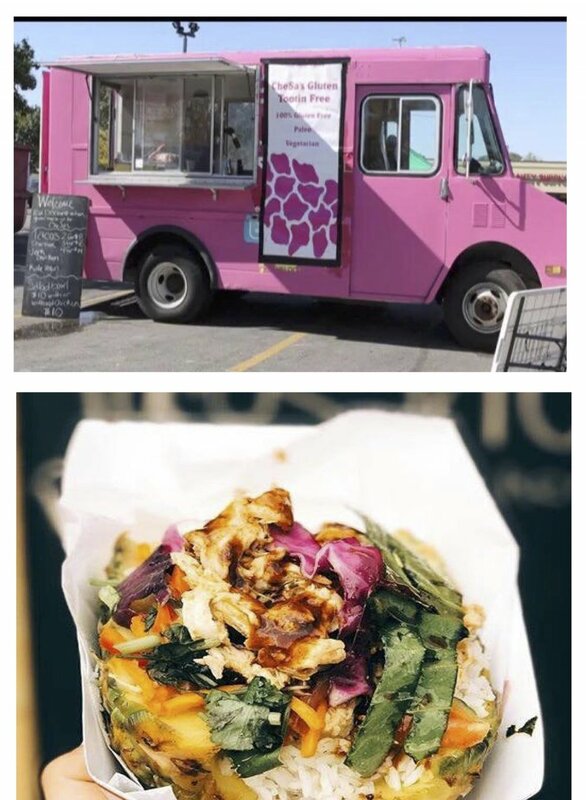 THESE ARE THE 2018 FOOD TRUCKS. STAY TUNED FOR 2019!
" The lobster we serve is caught fresh everyday in Maine. Our bread is baked fresh everyday right here in Chicago. " "... there's beef skewers to die for, along with a Flamingo chicken dish that'll give you rounds of well-rounded flavor with nary a speck of wheat." "Street tacos from the same folks that bring you Toasty Cheese grilled cheese sandwiches"
"... specializing in beef brisket, pulled pork, and chicken!" "Courageous Bakery was born out of mine and my sister Kathryn's love of baking and her courage to fight blood cancer." "A mobile wood-fired pizza oven cooking our organic whole wheat pizzas at 800 degrees with oak in our Valoriani oven. "Specializing in one thing and one thing alone: the crispiest of chicken to sink your teeth into." "Serving up award winning pierogis. Simple, delicious pierogis." "Grab our damn good spicy fried chicken, double burgers and hand cut fries that are sure to please." "Our menu rotates weekly and subject to change based on the availability of local ingredients"
"We at The Cajun Connoisseur are dedicated to providing top quality Cajun inspired cuisine with stellar customer service." "Beavers Coffee and Donuts serves delicious, fried to order mini donuts with signature toppings and imported coffee." "Korean food with a fantastic twist Bob Cha is your first stop for the best Korean tacos around! Tacos, burritos, rice bowls, and more." "Enjoy real food, thoughtfully prepared in the no-nonsense style unique to the chefs of Carnivore Oak Park"
"Their gourmet menu unmasks a world of flavor in every dish, from their signature tamales packed with the succulent slow-roasted meats, velvety cheeses, and fresh ingredients, to their savory Queso Fundido, zesty soups, and more." "Vintage ice cream truck with all your favorites."